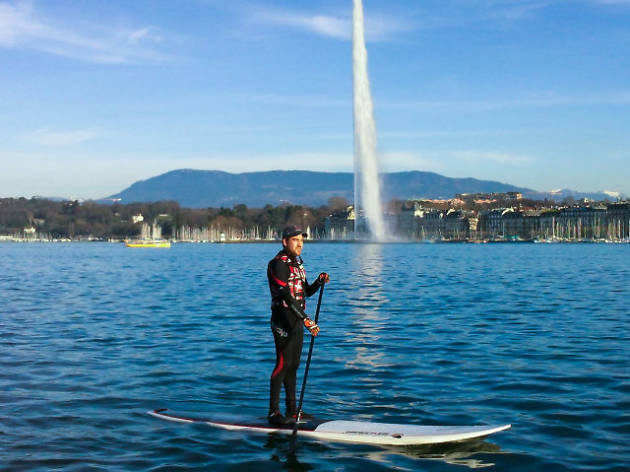 Get under Geneva’s skin and you’ll discover a huge array of great things to do, from the international to the local. 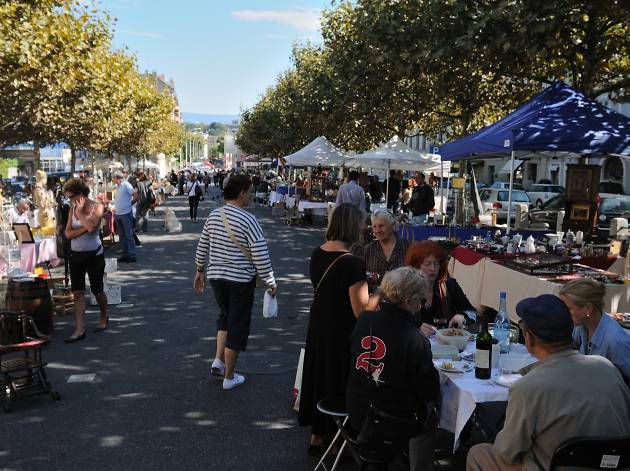 It’s a bustling city filled with businesspeople and young professionals, and those who dig deep will find its alternative side – live music in offbeat clubs like L’Usine, the vintage shops and flea market of Plainpalais, the city’s burgeoning cocktail scene and the artisan workshops of Carouge. 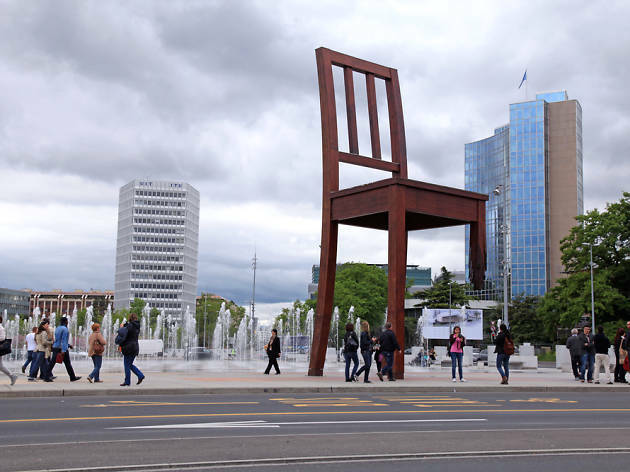 And, despite the tourists, Geneva’s famous attractions are famous because they’re thoroughly important – where else could you tour a world-leading particle physics lab and the room where UN bods make world-changing decisions? 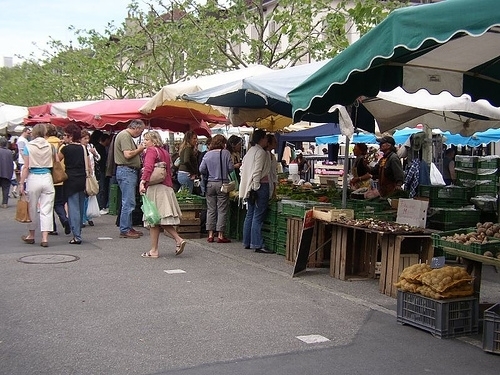 The most traditionally scenic part of the city is Geneva’s Old Town, clustered on a hill around the Cathédrale Saint-Pierre and the pretty pedestrian Place du Bourg-de-Four. 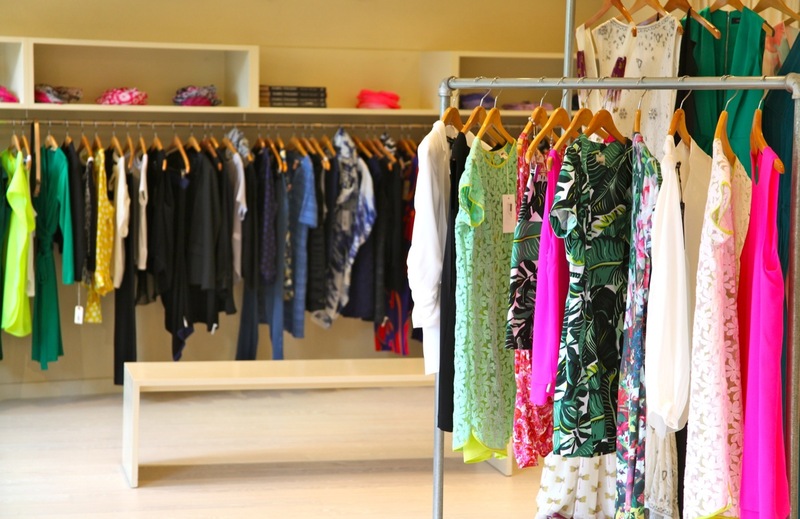 It’s well worth a potter for its independent boutiques including La Muse, Jill Wolf Jewels and Septième Etage, its pretty architecture, its numerous cafés and restaurants, and the chance to people-watch over a coffee at La Clémence. 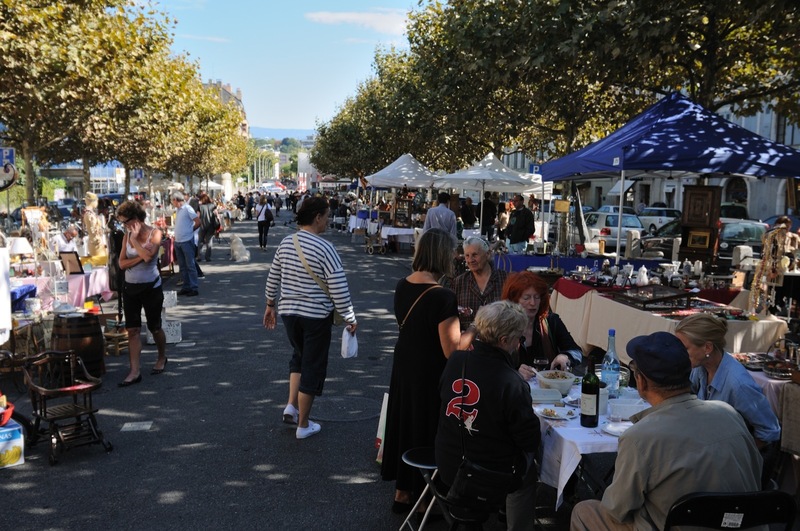 Delve into Geneva’s history with a visit to the archaeological remains beneath the cathedral, before wandering along the promenade for lovely views of the Bastions park below and the Jura mountain range in the distance. 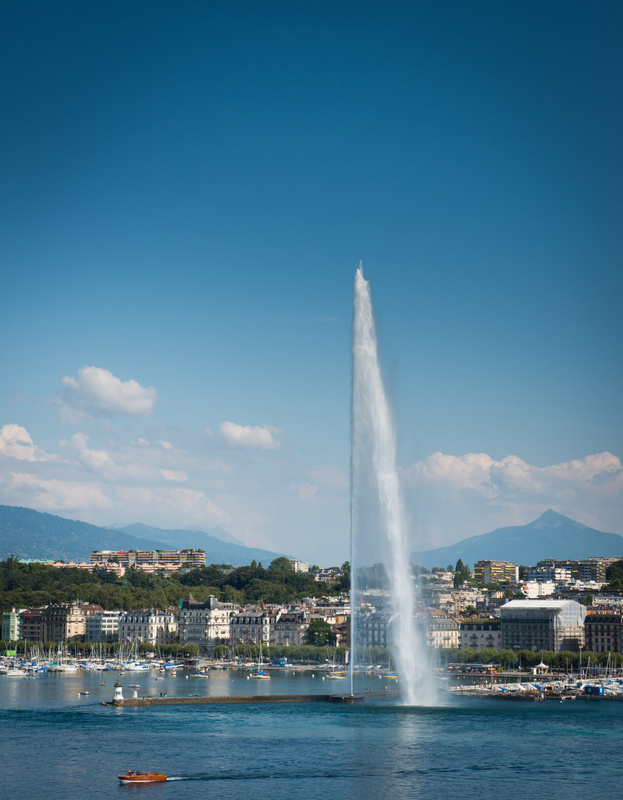 It’s hardly the leaning tower of Pisa, but Geneva’s Jet d’Eau is impressive in its own way. 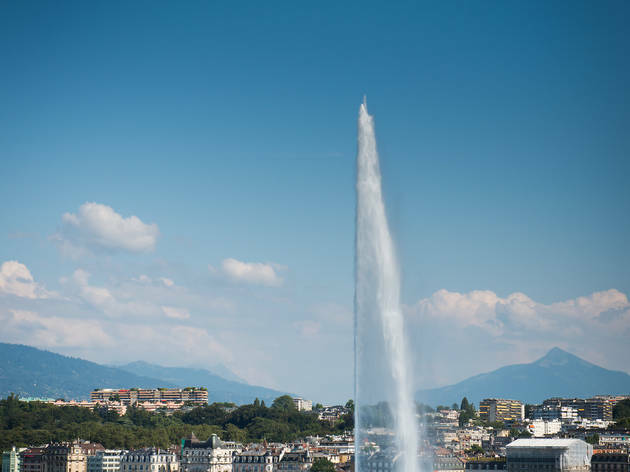 Visible from the air as you fly into Geneva airport, this enormous water fountain in Lake Geneva spouts its froth 140m into the air. The best spots for a photo are the Pont du Mont-Blanc and the Promenade du Lac alongside the lake’s left bank. 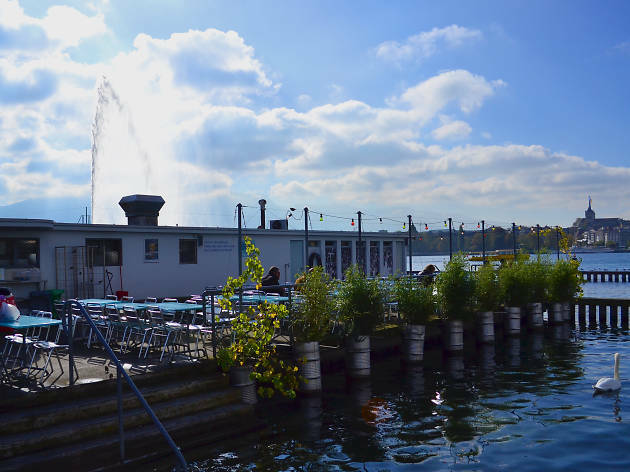 You can get closer still by riding a boat on the lake – jump on a Mouette taxi-boat for a short hop from right bank to left bank or take your snap from a CGN ferry as part of a day trip to any number of destinations around the lake. On Saturday mornings there’s no better place to be than the Plaine de Plainpalais, which hosts one of Switzerland’s biggest and best flea markets. From bric-a-brac to vintage clothes, second-hand toys to ethnic jewellery, plus larger pieces of furniture, a regular rummage among the hundreds of stalls could rustle you up a real one-off. When you’ve worn yourself out, prolong the vintage vibe by heading to 1930s café and ice-cream parlour Remor to watch the world go by from its outdoor terrace. The swatch of leafy loveliness that is Bastions park is a tranquil spot to stretch the legs. Popular with students, whose university buildings sit nearby, there’s a happy atmosphere at all times of year. 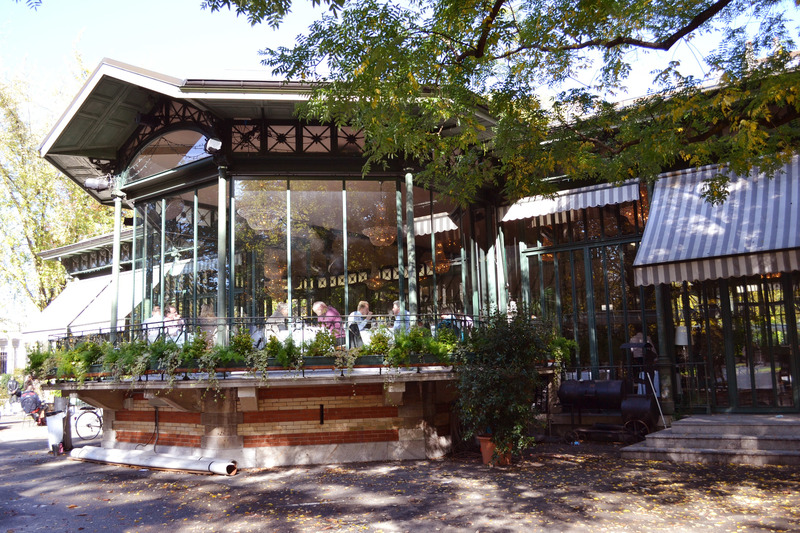 In summer, stop for coffee at the pretty Café Restaurant du Parc des Bastions, while in winter the outdoor terrace of the same café is transformed into an ice rink that’s popular with families. 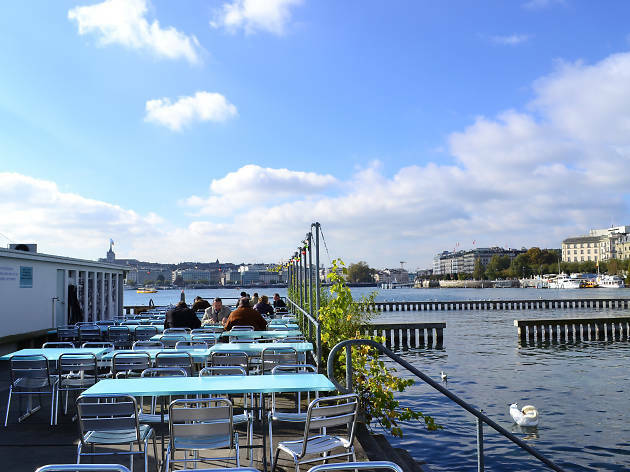 Just a short tram ride from the centre of Geneva it feels as though you’ve stepped into a different country – and you kind of have. This area was developed by Italians from Turin in the 18th century, and as such is architecturally Italian in style, all stone archways, painted shutters and red roofs. Its outsider status attracts artisans and bohemians in droves, and a wander around its streets will throw up second-hand bookshops, markets, antique restorers, glass blowers, watchmakers and indie clothes designers. 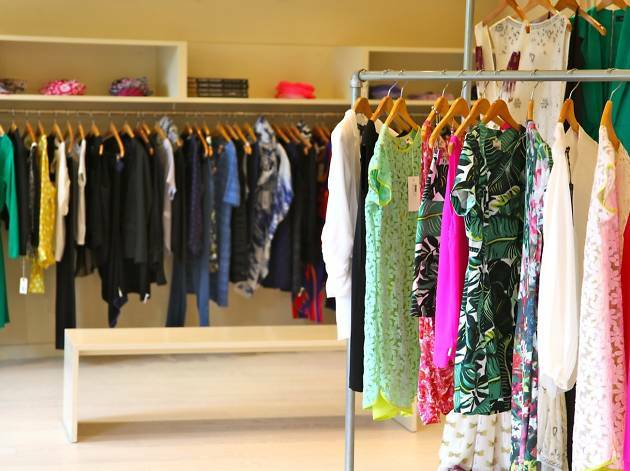 Hunt out vintage designer togs at posh second-hand shop Numéro 6, get interior design ideas at Teo Jakob and find classy children’s clothes and treats at Boutique O-Little-Top. When you’re all shopped out, the area has a vast number of bistros, cafés and restaurants offering a much more relaxed vibe than the centre of town, including tapas and cocktail bar Le Cheval Blanc. 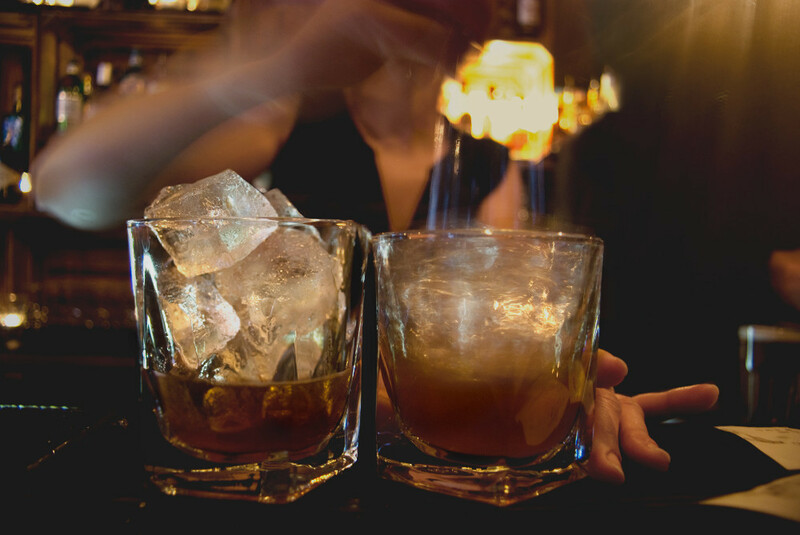 If there’s one thing Geneva does well, it’s cocktails – and not in the way you might imagine. Yes, you can pretend you’re royalty and sip a martini in the bar of one of the city’s most exclusive waterfront hotels – but there are also more imaginative ways to go about it. Try delving into the less tourist-centric neighbourhoods of Eaux-Vives, Carouge and Plainpalais and you’ll turn up a few surprises, from the wonderfully eccentric creations at the speakeasy-styled La Verre à Monique (dress in your best spats/flapper dress and you’ll fit right in) to the well-priced and inventive drinks at L’Atelier Cocktail Club. 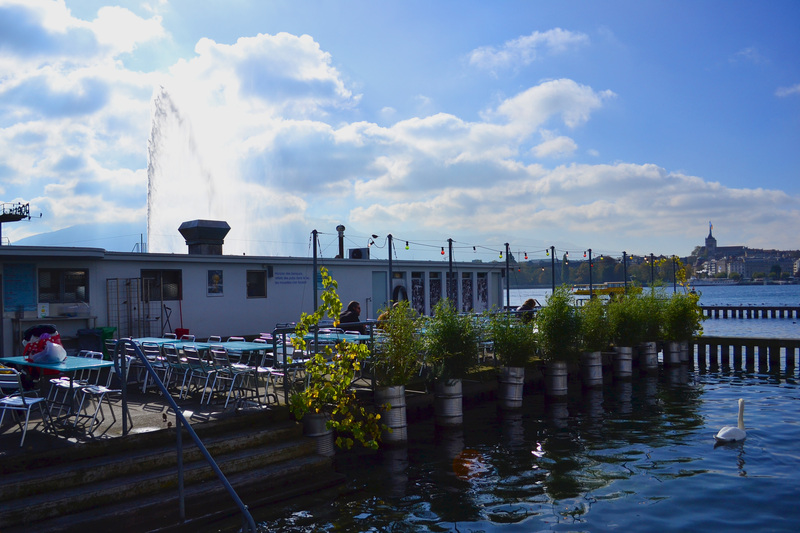 Geneva has tons of spas way more luxurious than the Bains des Pâquis, but none are as interesting, kitsch or reasonably-priced as this 1930s public swimming baths, set on Lake Geneva. Open year-round, it’s great for a dip, sauna, massage, fondue or a cheap lunch in friendly, casual surroundings. Plenty of events take place year-round, including early-morning music and poetry readings in summer. 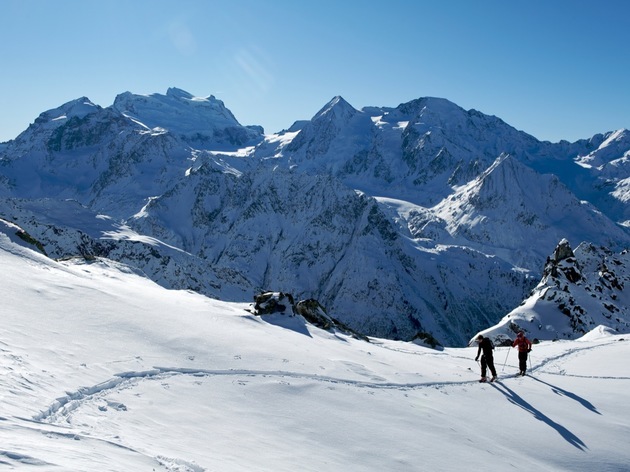 Geneva’s proximity to numerous ski resorts in Switzerland and France is one of its main selling points, but you don’t need to neglect the city altogether on a skiing break, as it’s entirely possible to head off for a day’s skiing and be back in town by the evening. 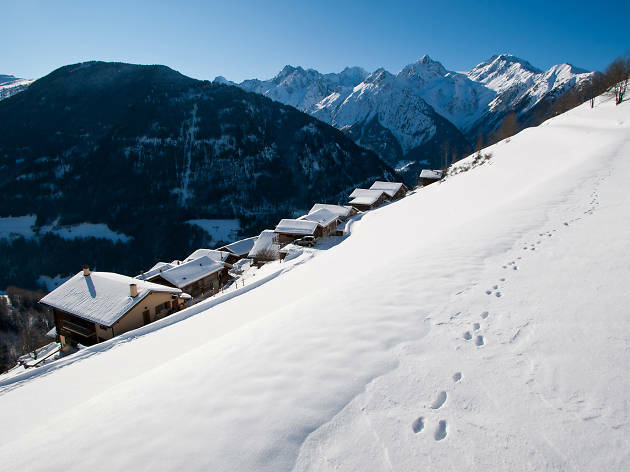 The pretty French resorts of Samoëns, La Clusaz and Chamonix are just an hour away, while St Cergue, in the Swiss Jura, is even closer. 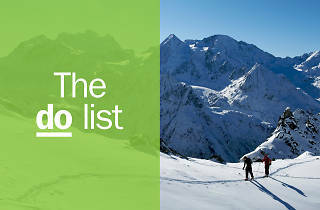 And they’re not just good for skiing. 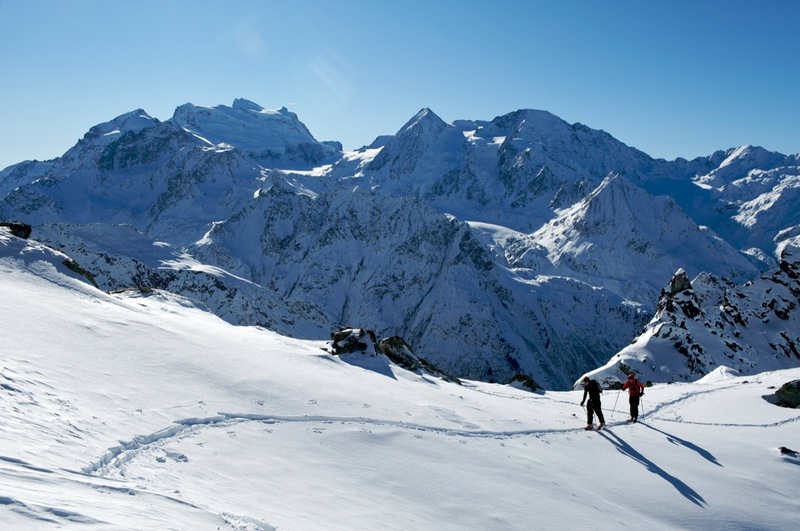 Head off in summer to sample hiking, paragliding, summer tobogganing and mountain biking, or cast off your downhill skis in winter in favour of snowshoeing, sledging, cross-country skiing or ice skating on the frozen Lac de Joux, just 90 minutes drive away. It’s not hard to flex your plastic in Geneva’s shops, even if it may be safer to stick to window shopping. 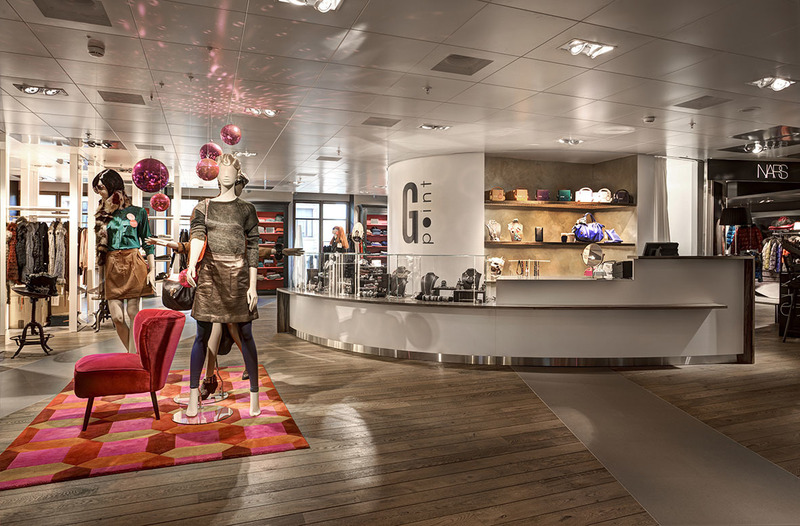 If you’ve got the reddies, head for the flashy Rue du Rhône to browse the high-end clothes boutiques, watchmakers and jewellery shops, including designer emporium L’Apollinaire, or head to Bon Génie, the Harvey Nicks of Geneva, which is crammed with labels. 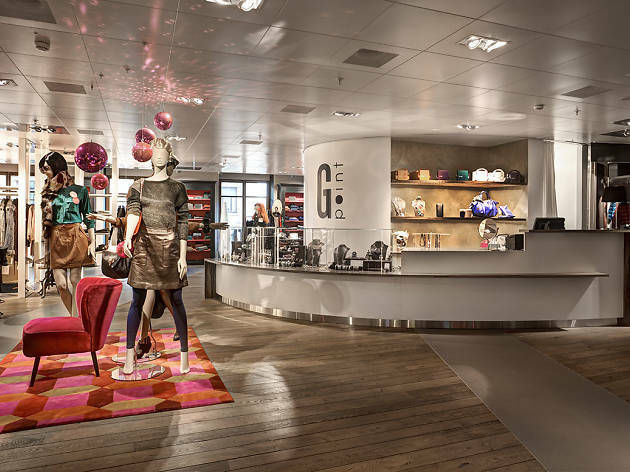 A more realistic shopping experience in the city centre is department store Globus, where you could spend hours browsing the clothes, homeware and cosmetics. If you’re not into shopping, it’s worth visiting Globus anyway for the incredible food hall, offering gourmet focaccia, a noodle bar, sushi, freshly flipped crêpes and upmarket burgers from Swiss celebrity chef Philippe Chevrier. 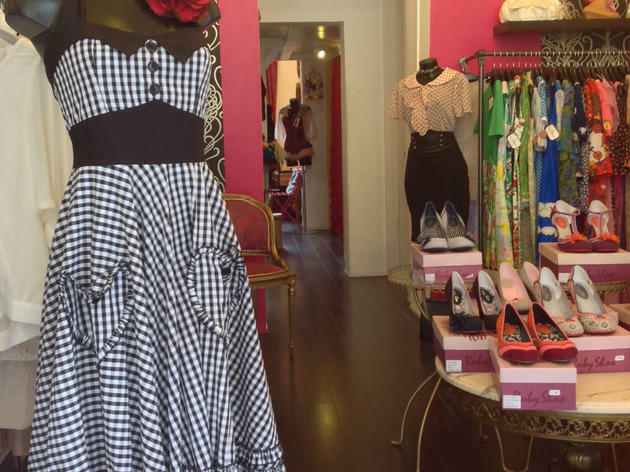 Meanwhile vintage seekers should head to Plainpalais to pick out vintage homeware at Les Enfants Terribles and Le Panapé de Caméla, affordable retro dresses and bags at Le Grand Magasin and high-end vintage brands such as Ossie Clark and Chanel Couture at Julia’s Dressing. 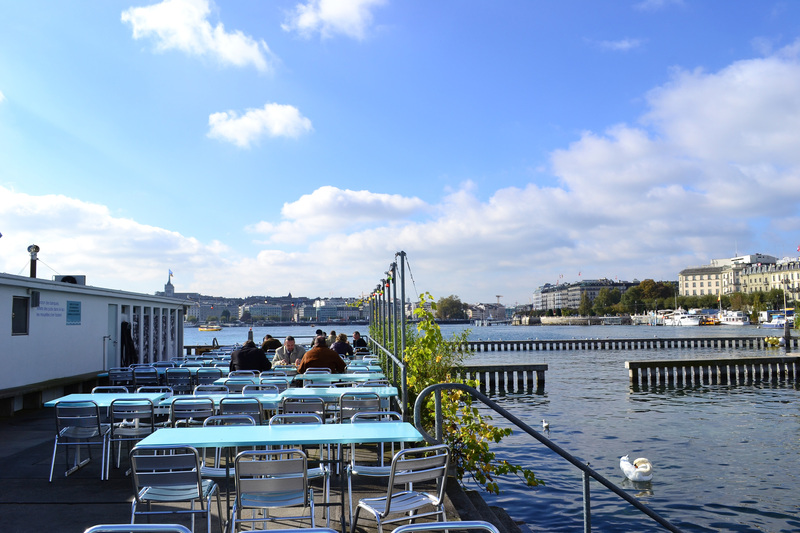 For various reasons – its famed neutrality, its location in the centre of Europe – Geneva is the seat of many international organisations, some of which are open to visitors. Head up to Nations to visit two of the best. The outstanding International Red Cross and Red Crescent Museum is unmissable for its moving and sometimes shocking permanent exhibition, which charts the vital humanitarian work carried out by the organisation for the past 150 years. 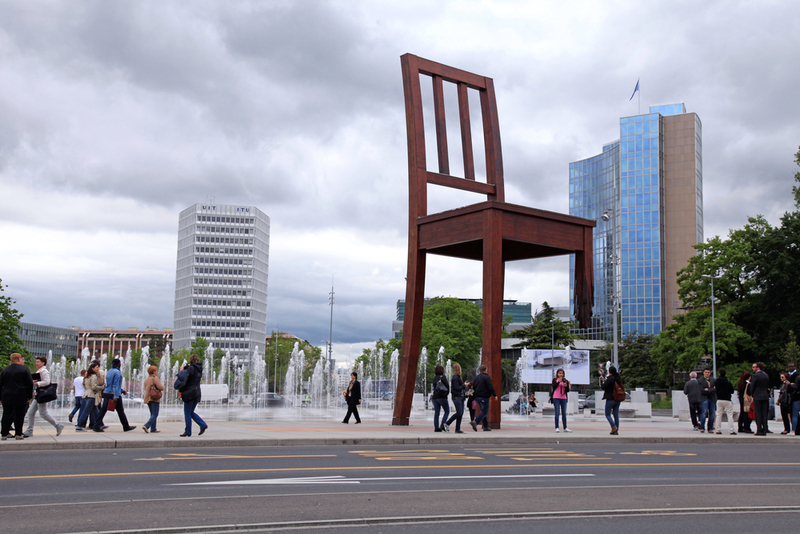 Combine this with a guided tour of the Palais des Nations, the European seat of the United Nations, for an insight into how the biggest issues facing the world today are tackled. One great thing about Geneva is how easy it is to escape the clutches of the city and disappear into the hills. Frankenstein’s monster thought so, too. 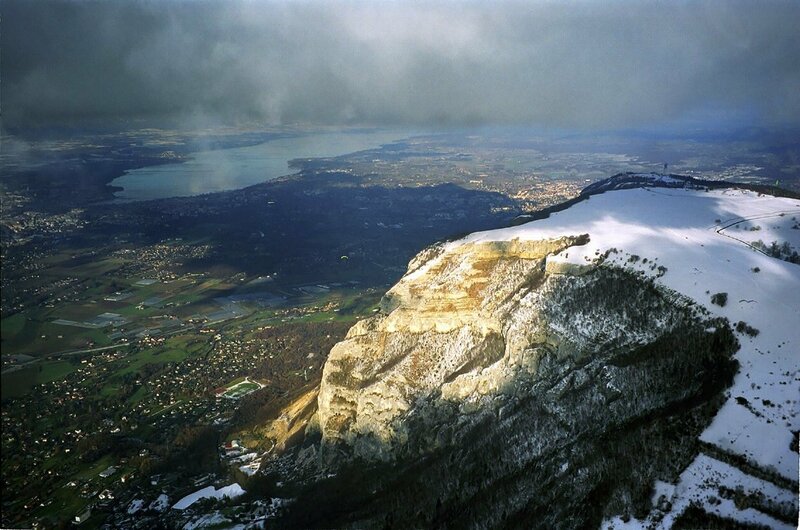 The creature in Mary Shelley’s thriller fled to the Salève mountain and was seen hanging off its cliff-face in chapter seven. 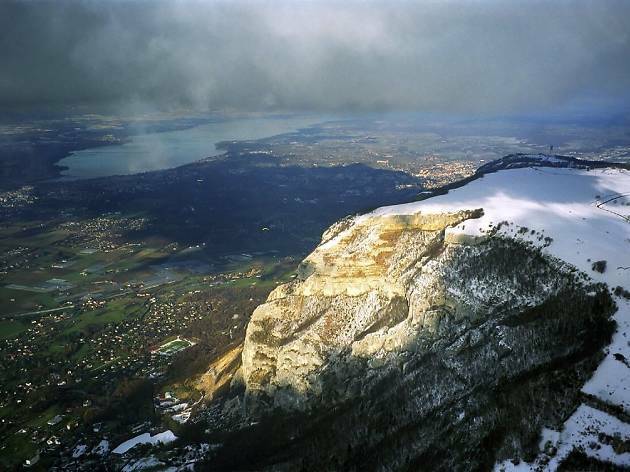 It’s an understandable move, as the Salève is a peaceful retreat just a short bus ride away from the city centre – so close in fact that it’s known as Geneva’s local mountain even though it’s actually just over the border in France. From the cable car base station at Veyrier it’s a short ride up to 1,379m for a superlative view of the city and lake – the Jet d’Eau looks pretty small from up here. On the summit, you can hike, paraglide, bird-spot, picnic or just sit in one of its cafés and contemplate the view. On a clear day Mont Blanc looms large. Geneva likes a good knees-up, just like anywhere else. In winter the Escalade, held on the second weekend in December, is a pre-Christmas party in honour of a failed siege of the city in the early 17th century. Join the crowds to watch costumed revellers parade through the Old Town before warming your cockles with a glass of vin chaud and some melted cheese. In summer, don’t miss the huge fireworks display on the second weekend in August, marking the end of Geneva’s summer festival. 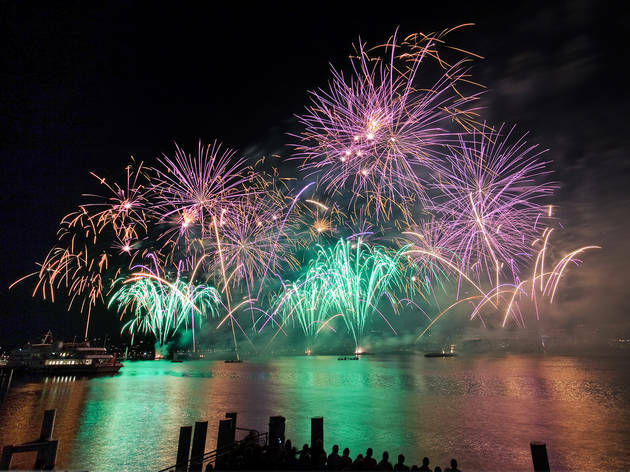 This is one time when you’ll thank the banks and hedge funds for their presence in the city, as the display’s copious corporate sponsorship translates into one of the biggest and brashest fireworks displays you’ll likely see anywhere. Hawaii's current craze for stand-up paddleboarding has settled on Lake Geneva. The idea is to stand upright on a long surfboard and use a paddle to propel yourself across the water. It's a fun way to travel, as long as you're prepared to fall in once in a while – plus, it’s also a great upper-body workout. There are plenty of other watersports on the lake, too, such as windsurfing and wakeboarding. Reward yourself afterwards with a drink on the palm-fringed beach, a more secluded location than the main yacht-crammed marina. There are countless opportunities to watch live music in Geneva, from top-quality orchestras to big name international bands. But away from the norm, it’s possible to search out something a bit more alternative. 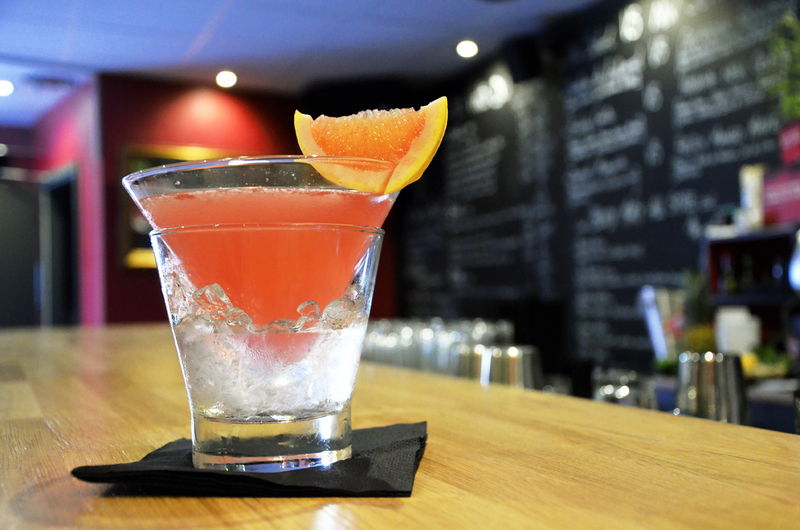 The eclectic L’Usine is about as far from Geneva’s mainstream as its possible to get. 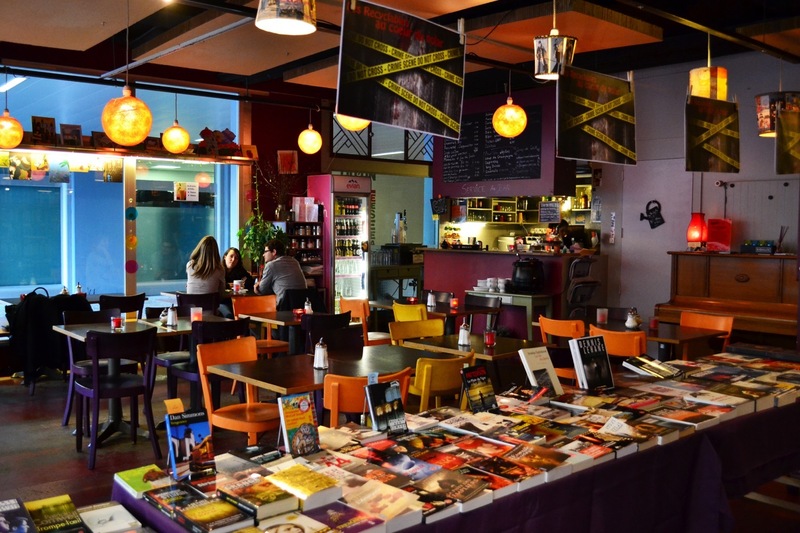 A multi-purpose arts venue, its diverse programme covers everything from rock to reggae, metal to punk, disco to house. It’s loud, cheap and rather grubby, but so much the better for it. 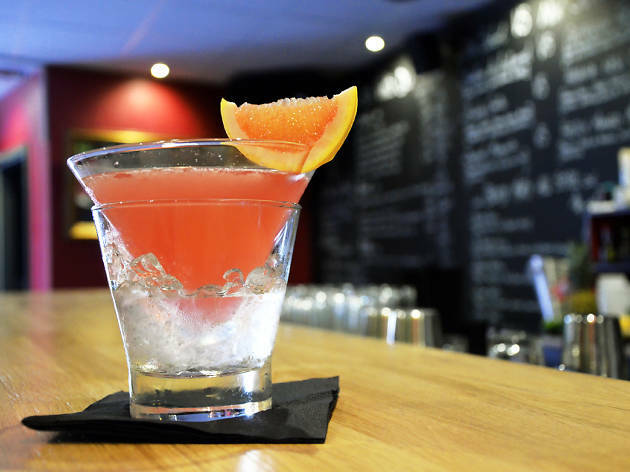 If jazz and soul is more your thing, head out to the Chat Noir in Carouge, a brilliant laid-back venue with a friendly crowd of locals who flock to regular live music and comedy nights held in the basement. Practically compulsory in Geneva, twirling chunks of bread in a pot of melted cheese isn’t just for tourists – it’s a real thing. There are many places in town serving a good moitié-moitié (half gruyère, half vacherin), but one of the best is Les Armures, the restaurant attached to the five-star hotel of the same name which serves a top-flight caquelon (fondue pot) in an appropriately traditional environment. 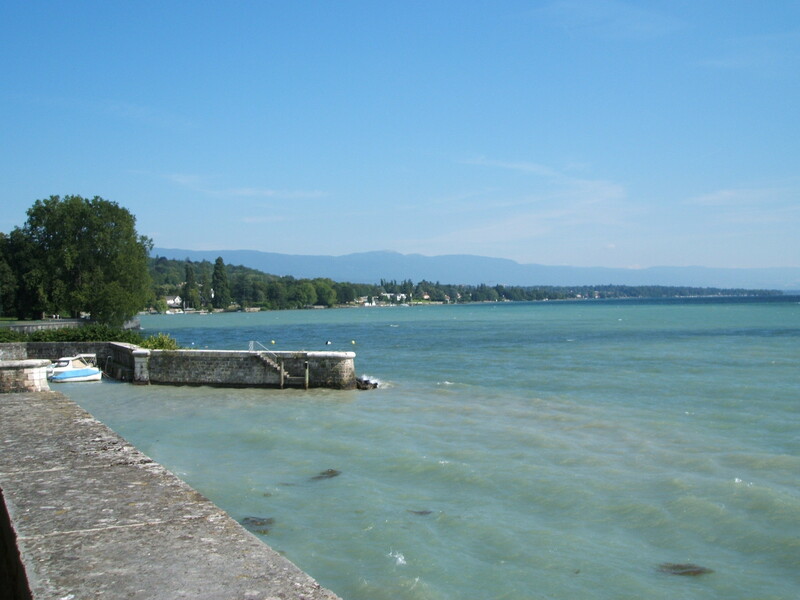 This is the Lake Geneva beach where the local city residents love to go – the kind of plsce tourists usually never find out about. To get to this hidden spot, you’ll need a few acrobatic moves: after crossing the steep gate of the Perle du lac’s small yet emblematic port, a 100-metre stretch of stony lakefront reveals itself, and a quick climb down gives you access. Usually empty – even in the summer – this spot is perfect for a peaceful afternoon swim, all without having to leave the city centre. 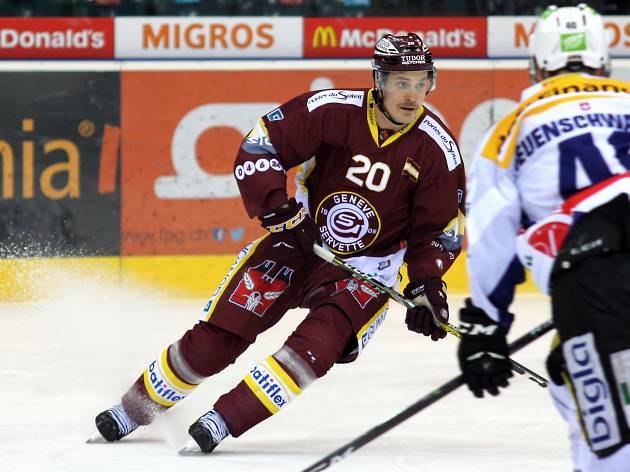 Ice hockey is the biggest sport in Switzerland and Geneva’s team, Genève-Servette Hockey Club (dubbed The Eagles), is one of the top teams in the country. Attend a game and let yourself be swept over by the wild atmosphere in the arena. 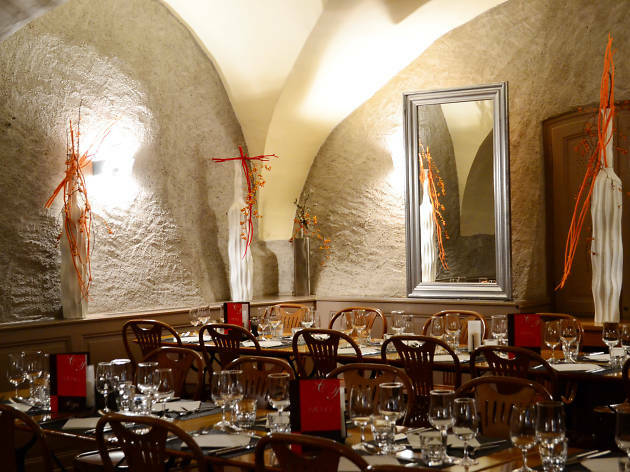 Set in the middle of the Old Town next to the Town Hall, this café-restaurant has achieved mythical status in Geneva, thanks to its long history (it opened in 1808) and status as the café of choice for Swiss politicians throughout the ages. 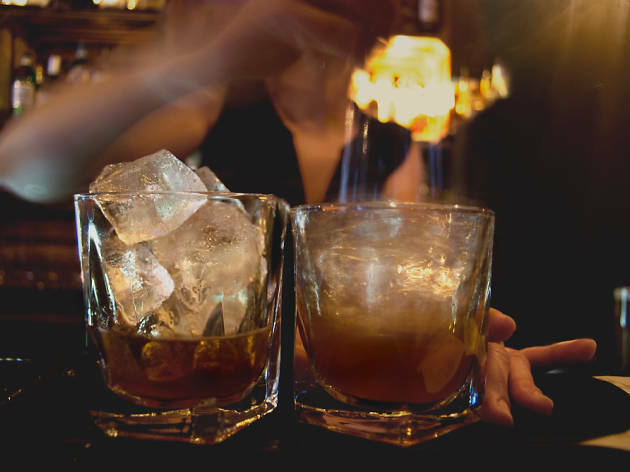 But this isn’t a fusty, old-fashioned kind of place. 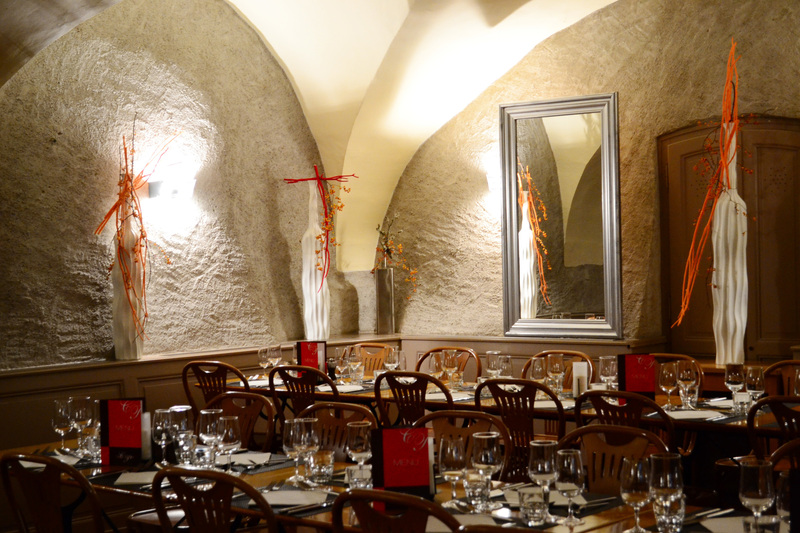 Since its renovation and reopening in 2005, Papon has complemented its historical roots – evident in its beautiful stone cellar location – with modern Swiss flair. The menus draw on local, seasonal produce and change every couple of weeks. A well-priced set menu of the day draws in local office workers, as does the quiet and sunny outdoor terrace which leads on to the leafy promenade overlooking pretty Bastions park. Book ahead to get a seat outside in summer. Here’s another thing that Geneva is remarkable for: a 27-mile ring of superconducting magnets that’s accelerating particles at the speed of light. It seems incredible that a world-renowned physics laboratory attempting to solve the secrets of the universe should be open to the likes of us mere mortals, but it is. A tram ride out of town in the district of Meyrin, CERN is open for guided tours, and while you might not see the Large Hadron Collider (it’s closed to the public when operational), a visit round the lab takes in various other accelerators and is still fascinating. Betty Draper wannabes should take note of this retro hotspot in Eaux-Vives, a cavernous store styled like a period boudoir. 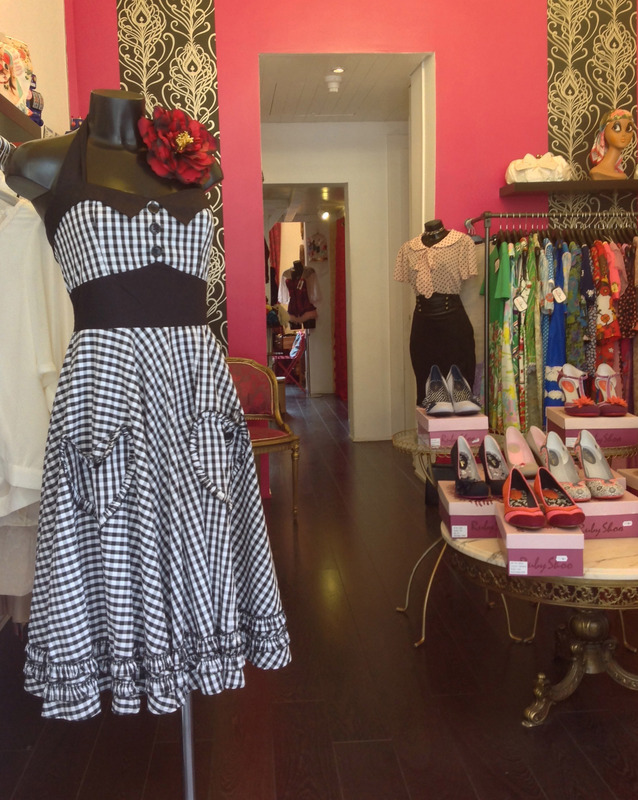 Check out the range of original vintage goods sourced from Paris and reproduction ’50s-style prom dresses with modern fabrics – for prices that mean you can still afford a drink when you wear your new dress out on the town. 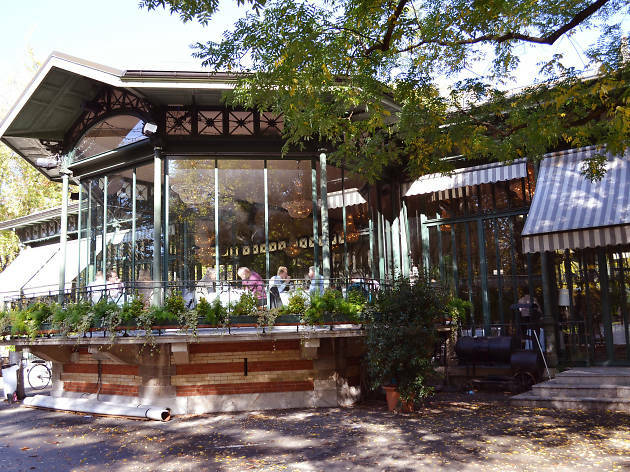 An antidote to big-name chain cafés and a pocket of calm amid the bustle of Rue de Carouge, Les Recyclables is a delight. 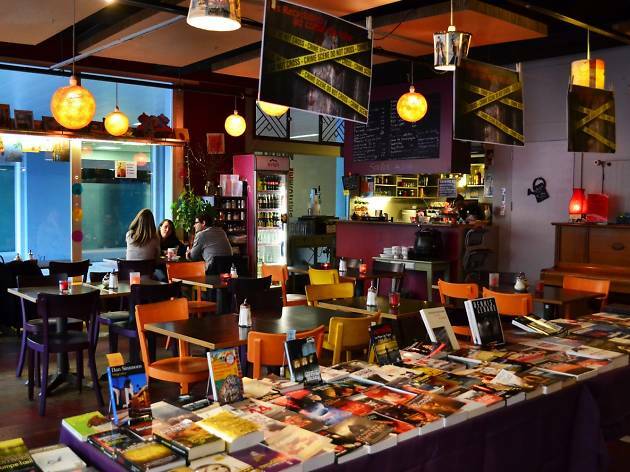 Half café, half secondhand bookshop, it lures you in for a drink or lunch and tempts you with a selection of new reading material. The café itself is friendly and cheerful, and the food is imaginative and well-presented – plus, there’s a well-priced dish of the day every lunchtime. On selected evenings you’ll be serenaded as you eat by genuinely talented musicians playing jazz, bossa nova and Brazilian ‘choro’. 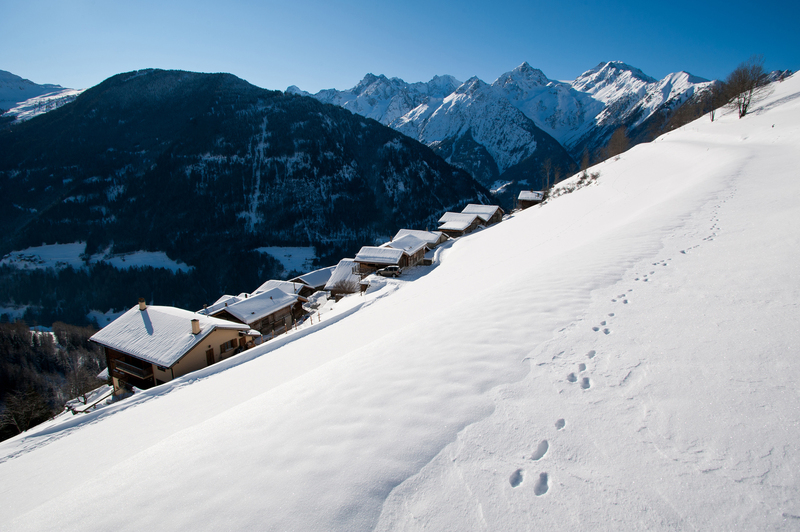 Winter has always been a season to celebrate in Switzerland, thanks to the stunning mountainside accommodation – and winter hideaways are perfect spots in which to soak up the magnificent Swiss countryside. 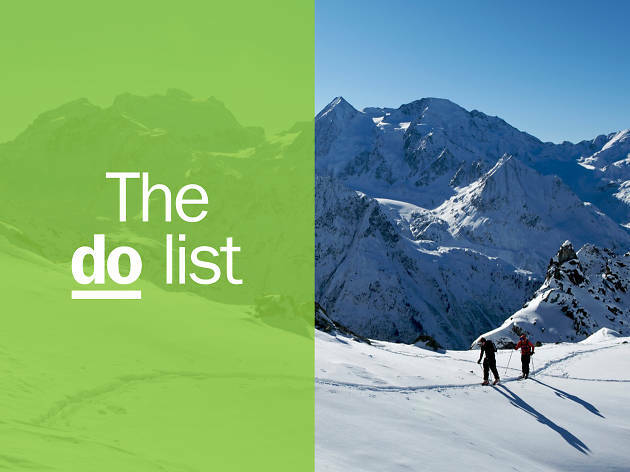 But how do you find your ideal hideaway? By reading on, because Time Out has handpicked some of the finest winter-ready hotels from across the country.